The Metropolitan Borough of Tameside is a metropolitan borough of Greater Manchester in North West England. It is named after the River Tame, which flows through the borough and spans the towns of Ashton-under-Lyne, Audenshaw, Denton, Droylsden, Dukinfield, Hyde, Mossley and Stalybridge. Its western border is approximately 4 miles (6.4 km) east of Manchester city centre. It borders Derbyshire to the east, the Metropolitan Borough of Oldham to the north, the Metropolitan Borough of Stockport to the south, and the City of Manchester to the west. 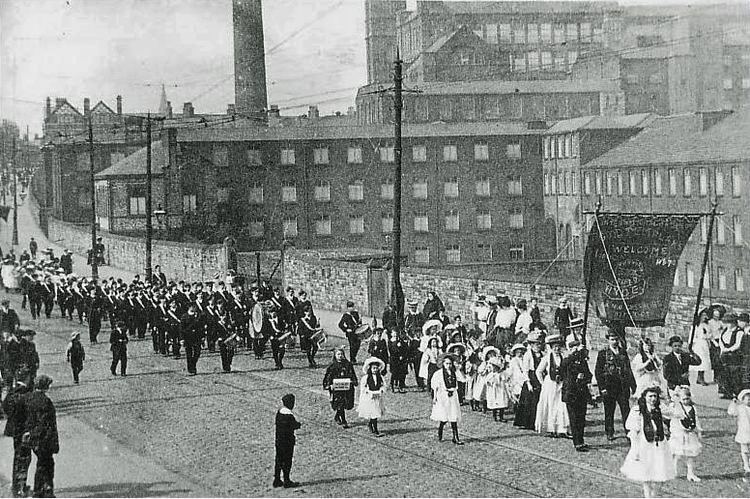 Tameside has a population of 214,400. By the 2011 election this overall population had increased to 219,324. The history of the area stretches back up to 10,000 years; there are 22 Mesolithic sites in Tameside, the oldest dating to around 8,000 BC; 21 of the 22 sites are in the hilly uplands in the north east of the borough. Evidence of Neolithic and Bronze Age activity is more limited in the borough, although the Bronze Age Stalybridge Cairn is the most complete prehistoric funerary monument in the borough. The people in the area changed from hunter-gatherers to farmers around 2500 BC–1500 BC due to climate change. Werneth Low is the most likely Iron Age farmstead site in the borough, probably dating to the late 1st millennium BC. Before the Roman conquest of Britain in the 1st century AD, the area was probably part of the territory of the Brigantes, the Celtic tribe controlling most of what is now north west England. According to the Domesday Survey of 1086, Tameside was divided into four manors, those of Tintwistle, Hollingworth, Werneth, and Mottram. The land east or the River Tame was in the Hundred of Hamestan in Cheshire and held by the Earl of Chester while to the west of the river was in the Hundred of Salford under Roger de Poitevin. These manors were divided to create further manors, so that by the 13th century most of them were owned by local families and remained in the hands of the same families until the 16th century. Manorialism continued as the main for of administration and governance until the mid-19th century. A name for the metropolitan borough proved problematic. 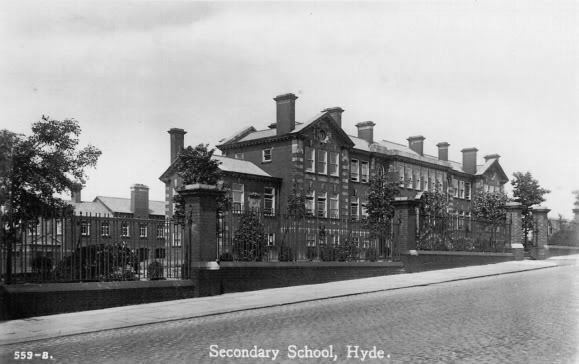 The Redcliffe-Maud Report had used the name Ashton-Hyde, but double-barrelled names were prohibited for the new districts. Had Ashton-under-Lyne been a county borough, or had had a less common name, "it might have been chosen as the new name" for the new district. The eight other towns objected, adamant that "a new name should be found". Thirty suggestions were put forward, including Brigantia, Clarendon, Hartshead, Kayborough, Tame, Ninetowns, and West Pennine, with Hartshead (with reference to Hartshead Pike) being the most popular throughout most of the consultation period. However, the name Tameside (with reference to the River Tame, but a concocted name with no historical basis) won 15 votes to Hartsheads 10 in a final stage of voting. The borough underwent a boundary review in 2002. The review altered the areas covered by some wards to ensure councillors represented roughly equal numbers. Between 12 October 2006–8 January 2007, a dispersal order was enforced in the Dukinfield and Newton Hyde areas of the borough. The move was designed to reduce anti-social behaviour. A representative of Stalybridge police post said "Due to the serious nature of recent incidents in Dukinfield and Newton Hyde involving a number of confrontations between large groups of youths, the decision has been made to introduce a Dispersal Order". Tameside is bordered by the metropolitan boroughs of Stockport and Oldham to the south and north respectively, the city of Manchester to the west and the borough of High Peak in Derbyshire to the east. Tameside features flat lowlands in the west and highlands in the east where the western edge of the Pennines encroaches on the borough. The hills in the east include Hartshead Pike and Werneth Low which is also a country park. As well as coal measures running north-south through the centre of the borough, there are areas of peat in the north east and there are large areas of boulder clay all over Tameside. Ashton Moss is a peat bog covering about 107 hectares (260 acres) and Denton Moor is an area of about 81 hectares (200 acres) of peat. Waterways in Tameside include the rivers Medlock and Etherow, which form parts of Tamesides western and eastern boundaries respectively, and the River Tame crosses the borough north to south, giving Tameside its name. The Ashton Canal, the Hollinwood Branch Canal, the Huddersfield Narrow Canal, and the Peak Forest Canal all run through the borough. There are also several reservoirs, including the Audenshaw Reservoirs. Greenspace accounts for 63.5% of the Tamesides total area, domestic buildings and gardens comprise 17.4%, and the rest is made up of roads and non-domestic buildings. The Ashton Arcades shopping centre opened in 1995. The centre covers 13,000 square metres (140,000 sq ft) on two floors with over 40 shops. In 2006, after failing twice to gain permission to develop a site in the neighbouring borough of Stockport, IKEA announced plans to build its first town centre-store in Ashton-under-Lyne. The store is expected to create 500 new jobs as well as attract other businesses to the area. The store opened on 19 October 2006 and covers 27,500 square metres (296,000 sq ft) At the time of its creation, the store was the tallest in Britain. Life science industries have been identified as growth industries in Greater Manchester and are concentrated in Oldham and Tameside. Average house prices in Tameside are the 7th highest out of the ten metropolitan boroughs in Greater Manchester, 11.9% below the average for the county.